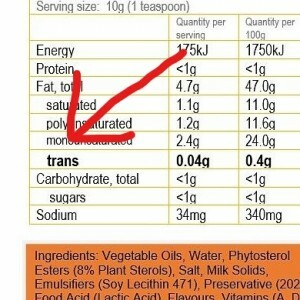 Trans fats are a nutrition no-no. Yet they’re in demand for many and varied quality reasons. For instance, they make food taste crisp and crunchy, they are more stable so food lasts longer on the shelves, and they cost less. However, they’re a hazard for your heart and are now thought to be a trigger for inflammation and metabolic syndrome. So where are they and how do you avoid them? Here are my top 13 worst offenders to steer clear of.